Anyone who knows me knows that I enjoy my food, particularly when it’s home made, and this weekend has been full of home made delights. The baking started on Saturday afternoon, with Tara and Devon preparing the dough for pizza bases. Using yeast that was somewhat out of date added to the challenge, but fortunately it responded to the heat and managed to rise (well a little anyway!). The tomato sauce was home made as well, with anchovies adding a little kick. As for toppings, I’m afraid I went for the full works, resulting in my pizza being somewhat taller than the norm! 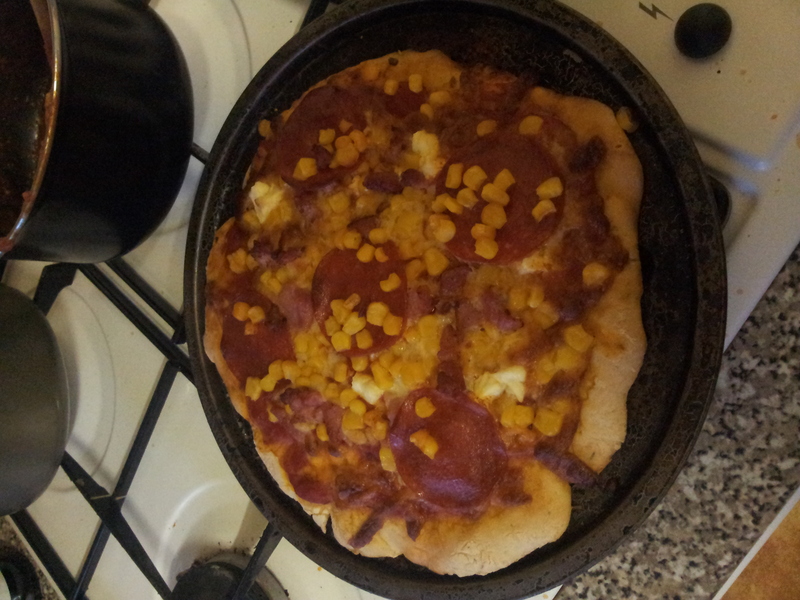 Here’s a photo that Devon took of her pizza, complete with sweetcorn, yes that’s right sweetcorn! Needless to say they were absolutely delicious! Moving on to Sunday, we had a rather late breakfast, but with the added bonus of Thomas joining us. He’d never experienced the Grits phenomenon before, so it was a first for him. 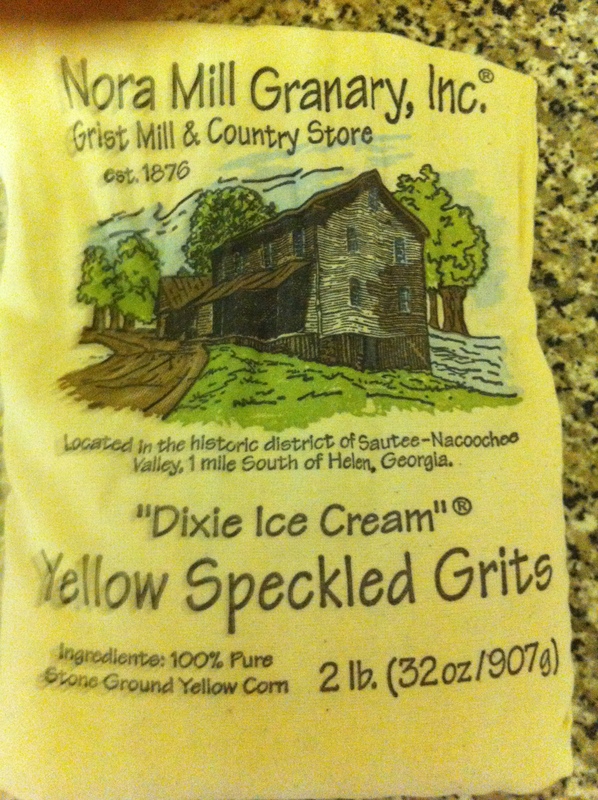 But these weren’t just any old Grits, these were Yellow Speckled Grits, the genuine article from Georgia. If you look on the bag, you’ll see they come from a place called Sautee-Nacoochoo, how cool a name is that? I’d love to know the history behind that name…. So breakfast consisted of bacon(except for Tara the (h)erbivore), eggs, Yellow Speckled Grits (with cheese) and pancakes. 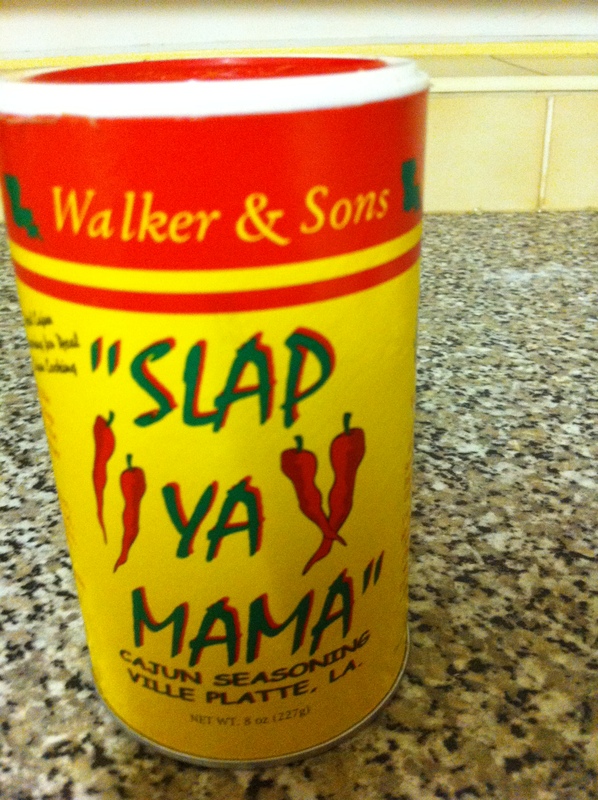 Not forgetting a liberal dose of Slap Ya Mama cajun seasoning! I’ve been reading the blurb on the carton and apparently every time the creator of this “award winning blend” uses it, she receives a loving slap on the back and a kiss on the cheek! I knew there was something missing,next time…. So that was breakfast, but the highlight was still to come. Tara had bought back some icing equipment back from her visit back home, and together with Devon, proceeded to make some cupcakes. 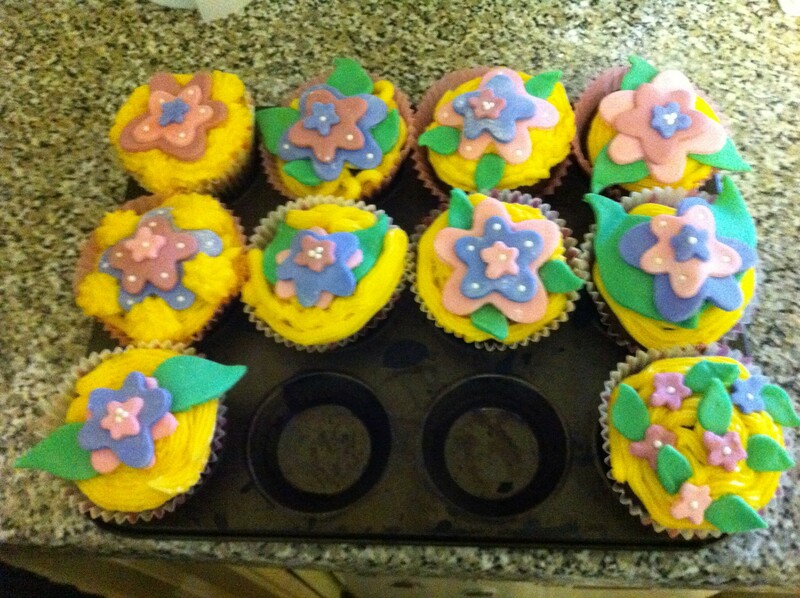 The recipe came from a magazine called Cupcake Heaven, and as you can see from this photo, they were heavenly! For a food lover, this was one great weekend! 2 Responses to Cupcake Heaven!